Would you like to submit an article / write for us? Guest writing is one of the most effective ways to promote your site or blog and meet new audience, or just share your thoughts and experience. We accept unique, high quality articles on topics relevant to this site's theme. Minimum length for your article: at least 400-500 words. Your article must be original and must have never been published before on the internet. You agree to not publish the post anywhere else (i.e., in your own blog/site or as a guest post in other blogs/sites). You can include 1-2 links in the author credit section, which will be displayed at the bottom of the article. So make sure you include it at the bottom of your article. We usually only edit the articles for minor grammar mistakes and add contextual links to related articles on Really Learn English, but some more extensive changes are possible. Before making your submission, please include a link to Really Learn English on your own site. Please include the address of that page at the top of your submission. If you have an article that meets the guidelines above, you can submit it using the form below. You can use HTML inside. 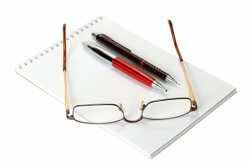 It is advised to write your article in your preferred word processing application, and then only paste it in.